Prominent & Leading Exporter from Rajkot, we offer direct couple centrifugal water pump and coupling type centrifugal pump. Our organization is engaged in manufacturing an extensive range of Direct Centrifugal Water Pump 4" X 4" Direct Couple which is widely used for moving slurry or liquids in various industries. 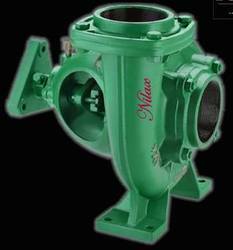 The pumps are precisely manufactured in order to handle variable water pressure. 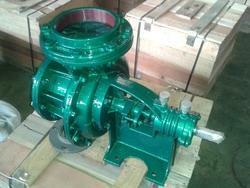 Size 6 " x 6"
We manufacture and supply a range of Commercial Centrifugal Pump that is widely demanded in various small and large scale commercial and non-commercial sectors throughout the Indian subcontinent. We provide complete solution of centrifugal pumps that are manufactured by extreme grade of raw material which is sourced from our reliable & quality driven vendors for high durability.